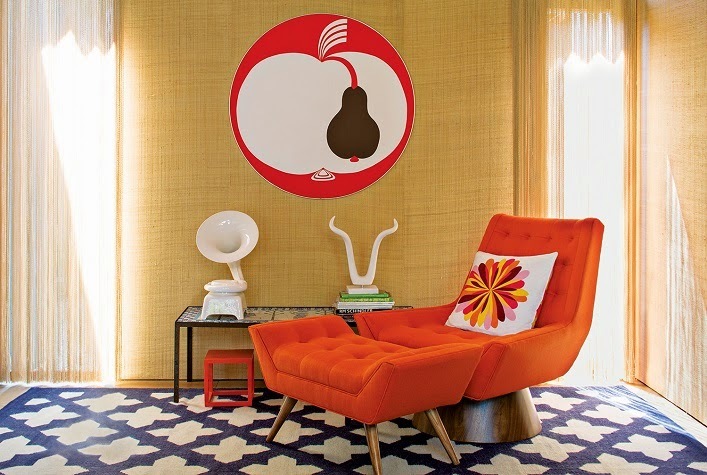 Mix and Chic: Home tour- Jonathan Adler's and Simon Doonan's fabulous Shelter Island vacation home! 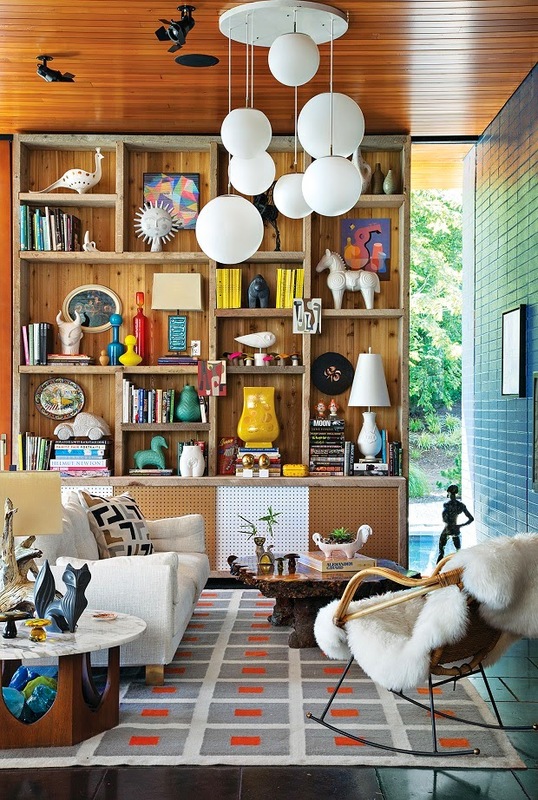 Home tour- Jonathan Adler's and Simon Doonan's fabulous Shelter Island vacation home! 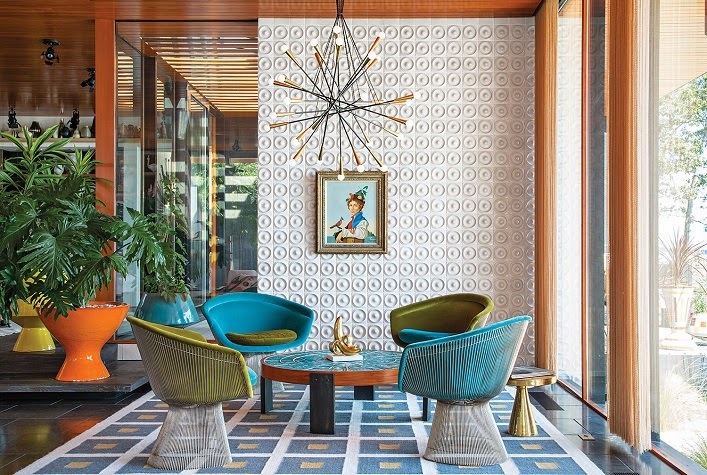 This fabulous Shelter Island vacation home belongs to designer Jonathan Adler and Simon Doonan. 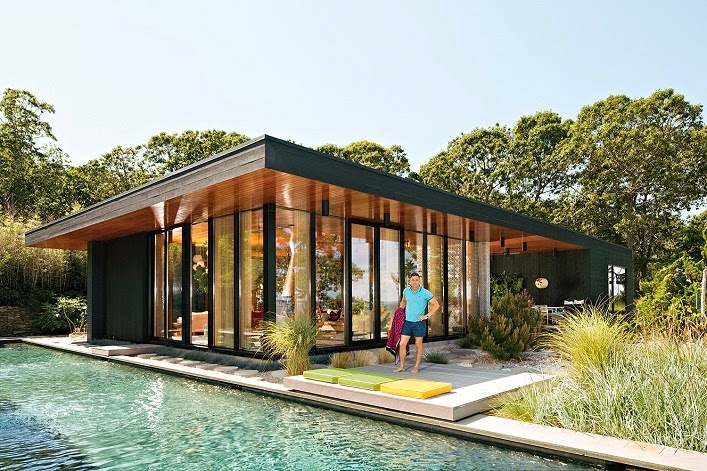 They collaborated with New Haven, Connecticut, firm Gray Organschi to achieve their midcentury-inspired New York vacation home. The results? A 2,800-square-foot structure with four bedrooms, a pool, and a variety of private indoor-outdoor spaces with a blend of California, Japanese and Swedish aesthetic. Let's take a tour of this interesting home, shall we? Overall, I think this is a cool and fabulous home! However, I have a mixed feeling about the interiors. 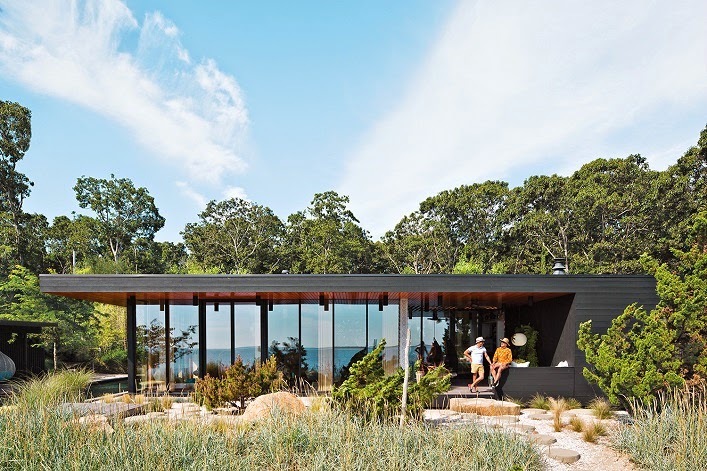 For starters, I really like the structure of this home especially the wrap around floor to ceiling windows that let in an abundance of natural light. 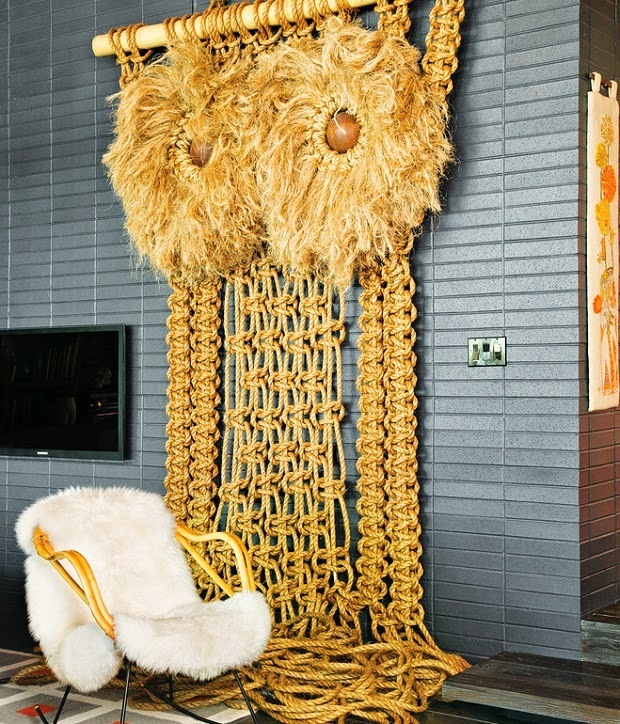 I also love many of the pieces in this home particularly the rugs, the vintage Platner chairs, the pillows and the sofa. However, the decor feels a little bit busy for me. 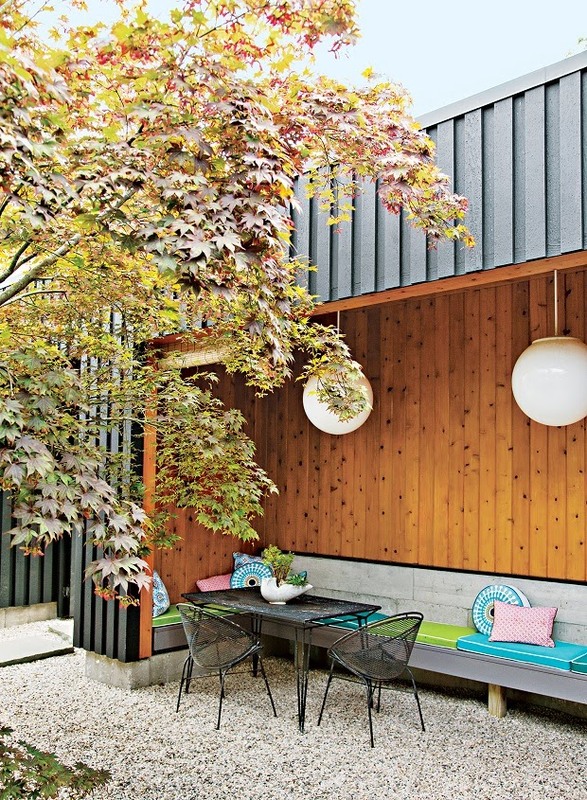 I like the beautiful outdoor space, though. What are your thoughts? Do you like everything you see on this tour or otherwise? I would love to hear your thoughts! Architecture and exterior spaces fabulous. 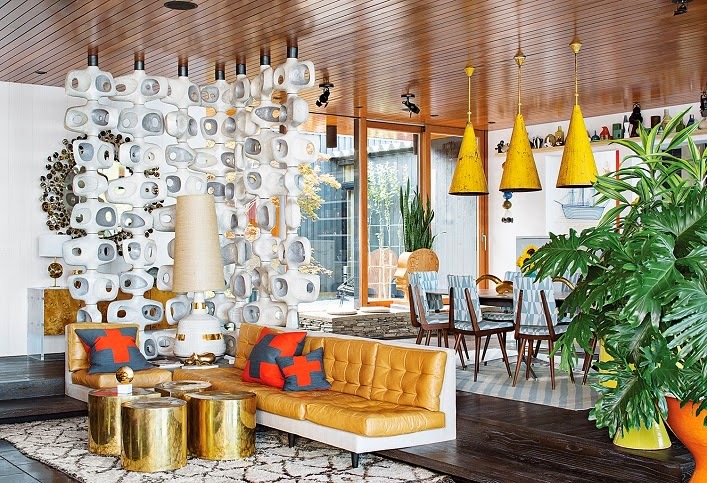 Interior decor, well, looks like a Jonathan Adler showroom. The "Happy Chic" ethos he espouses most often results, to me, in rooms that are too busy and more appropriate for kids' rooms than adult living spaces. Although I'm on board with an element of whimsy to lighten up a scheme that might otherwise take itself too seriously, a room that seems 99% whimsy just doesn't work for me. But hey, not my house.